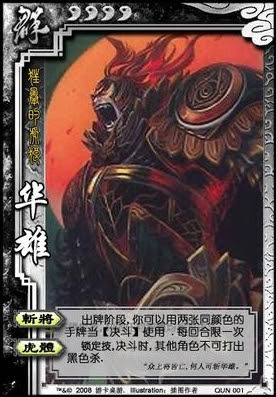 Once per turn, Hua Xiong can use any two same suited cards as duel. When Hua Xiong duels another player, the other player cannot use black attacks. In "Behead" he is simply substituting two cards for the Duel. This is the same as any other Duel card and can be Negated.